Antonio Asis’s first solo exhibition in New York City features three of his most important series of gouache paintings on paper. 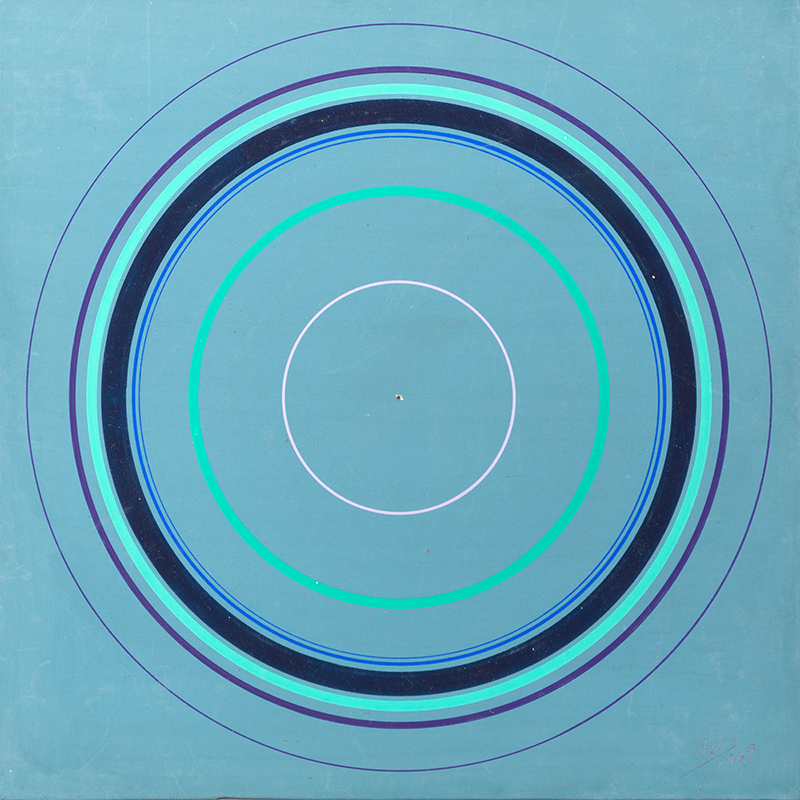 In his Cercles Concentriques, small “target” compositions of concentric circles push the dynamic relationship between the density of contiguous hues, to create startling, contemplative visual objects. 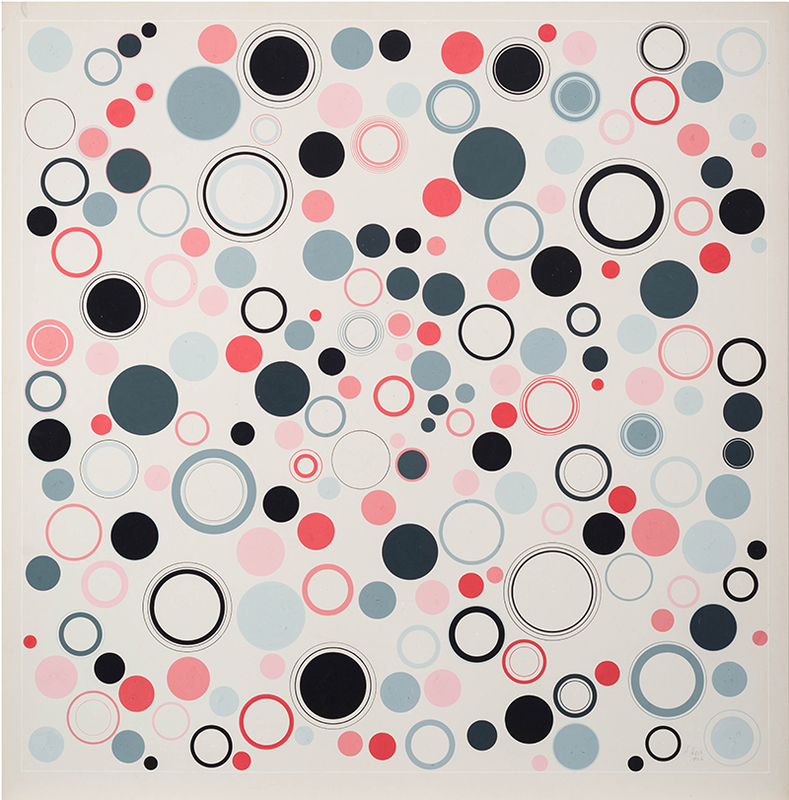 The color interactions vibrate within the tension of the 6-inch square field evoking contemporary mandalas. Begun in the 1960s this series continues to engage Asis who works on them daily at his drawing table in Paris. 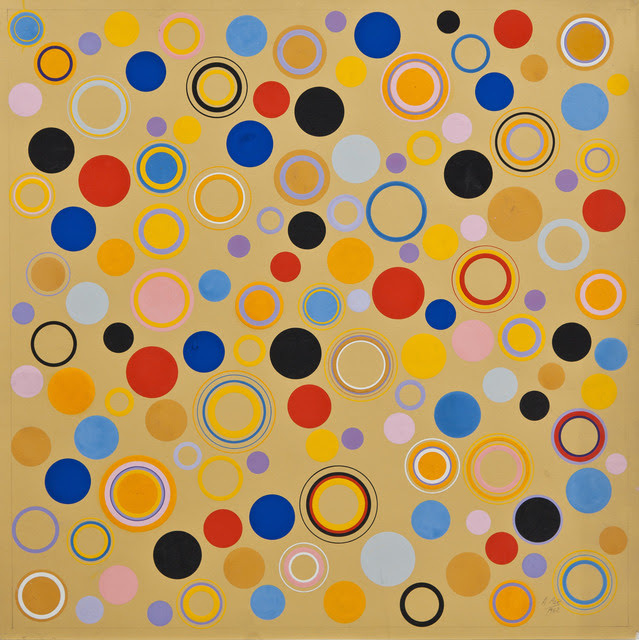 The larger paintings of the Geometríe libre series, also from the 1960s, liberate the small Cercles Concentriques “targets” into a vast space where they float and multiply in buoyant all over compositions. 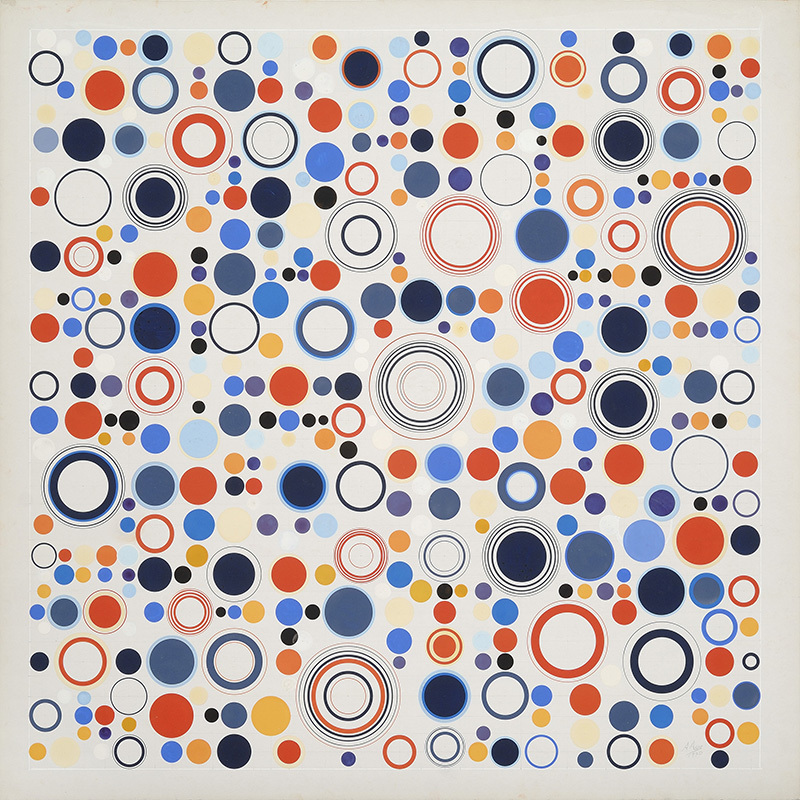 The wild energy let loose from the concentrated hues in circular dots and spheres seems to coalesce before our eyes like a brilliant sky of stars. 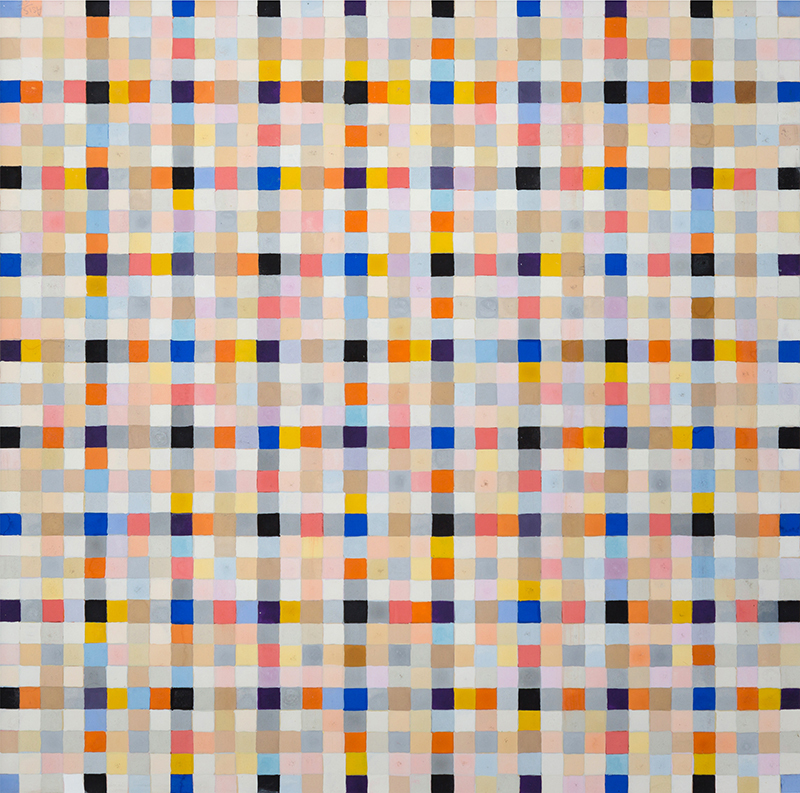 In his 1960s and 1970s Carres rythmiques, Asis filled graph paper with hundreds of tiny beautifully painted squares of gouache in simmering visual rhythms. These intensely precise compositions are part of the life-long research on the nature of visual perception that has inspired Antonio Asis for over 60 years of art making.